It is hard to pin down exactly how I feel about the trip. In terms of running according to plan, probably about 85%, but it doesn’t feel 85%. Perhaps it is the lack of a cornerstone event? But then again the most memorable things from previous trips often weren’t the cornerstone events. 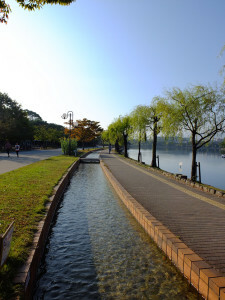 The stuff I remembered the most from the trip last year was that mad bike ride at Toya, the breakfast and ramen at Aomori, and the Evangelion exhibition in Takamatsu. All wholely unplanned. Perhaps then it was the lack of memorable events that happened outside of the plans? Did everything go just too well? 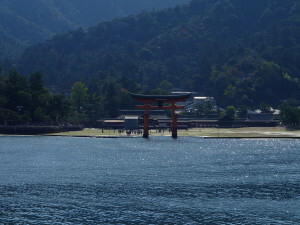 Or maybe it was the huge letdown Miyajima was? 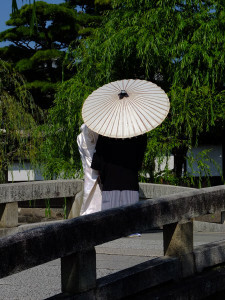 Oh the whole I love Izumo Taisha way more than Miyajima, in fact I don’t think I would ever get tired of being at Izumo, the whole mystic of the place is so far beyond other touristy locations that you cannot help but be enthralled by the shrine while there. I think what went wrong the most was booking so many nights at Comfort Hotel with its monotonous breakfast. 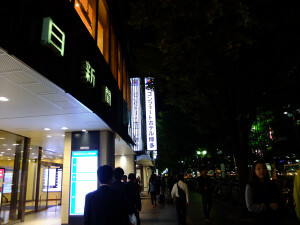 But then business hotels with breakfast on par with Urban Hotel (won’t even compare with Color Hotel Aomori’s calibre), are few and far in between. 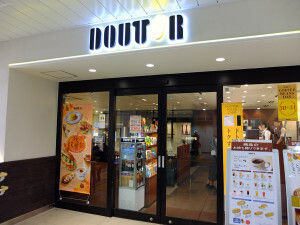 The answer might then be to forgo breakfast altogether then where Doutors are available. 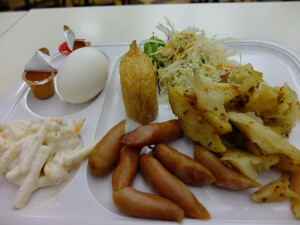 It is hard to ignore the appeal of “free breakfast” when choosing hotels, but I think after this time I am more prepared to ignore hotel breakfasts, just as I’ve gotten more accustomed to paying for buses or trams after the last few trips. Had I been by myself Okayama could have been dropped, probably would have dropped Hiroshima too, and give it all to Sanin area. 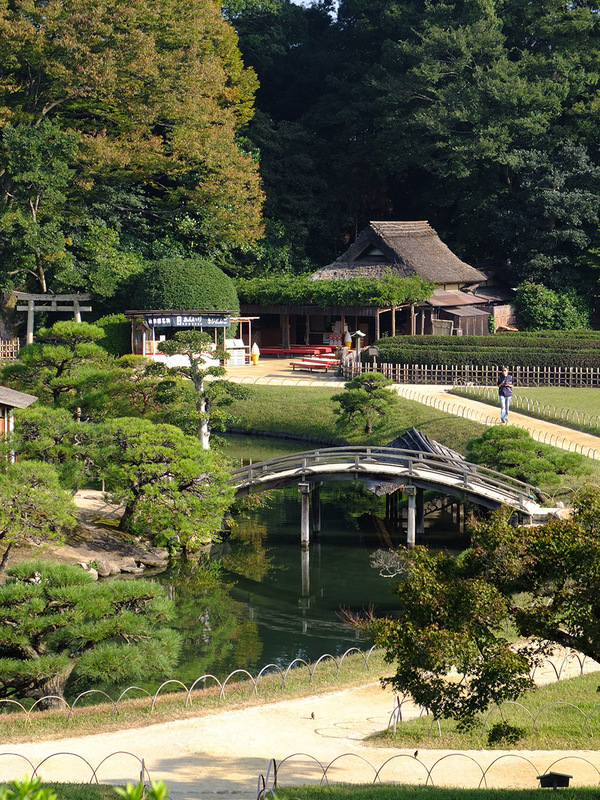 There are a few other spots that I’ve seen photos of and would love to visit, such as the southern Izumo area. On the plus side, weather was good, perhaps a little too good. Tsuwano was a great little town I wouldn’t mind revisiting someday. While my parents didn’t enjoy everything, I think I managed to show them a decent variety of what Japan offered beyond the packaged tours. The Suitouro light up and drum parade was fantastic and was a community spirit side of Japan I’ve been keen to explore. I think I might time future trips to coincide with more events in the future. Probably not the big ones because I have no interest in fighting the crowd, but these small community events I could see myself visiting more. 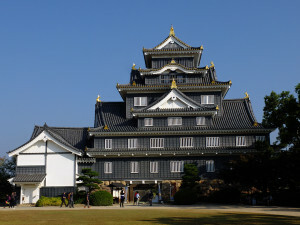 I do worry if the event draws enough visitors to outweigh the costs, there certainly weren’t that many visitors by the look of things, and Matsue probably also lack the hotels to accomodate more since just about every hotel in the city was fully booked out when I checked a month out. 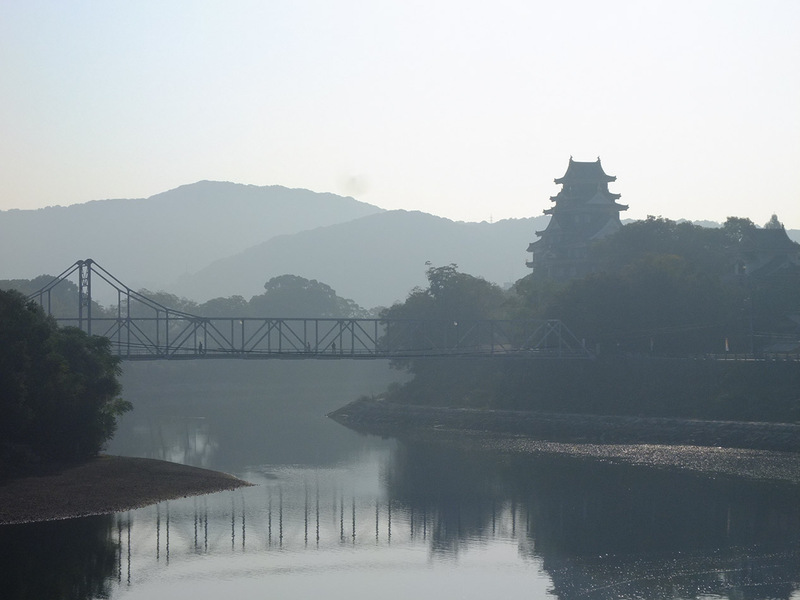 It is a shame Matsue isn’t more accessible for it to be more popular as it is such a beautiful city. At the same time, the trip was a few days too long for my parents. It really made me realize how old they’ve gotten. In the future I think if I were to take them to Japan, it’d be just a 4 day trip with 2 days of onsen in between with light cityseeing on either end. My Japanese has progressed much further than I realized. All those Drama CDs listening finally reaching a critical level to be able to follow general conversations and have enough phrases in memory to pull out a response on the spot, even if not grammatically correct responses. On the costing side, spending came in right on target in terms of Y and comparable to the trip to Shirakawago, however due to the exchange rate I’m probably over by about 10% on AUD. It is hard to say what a similar trip by tour would have costed since it would be impossible to do by bus. 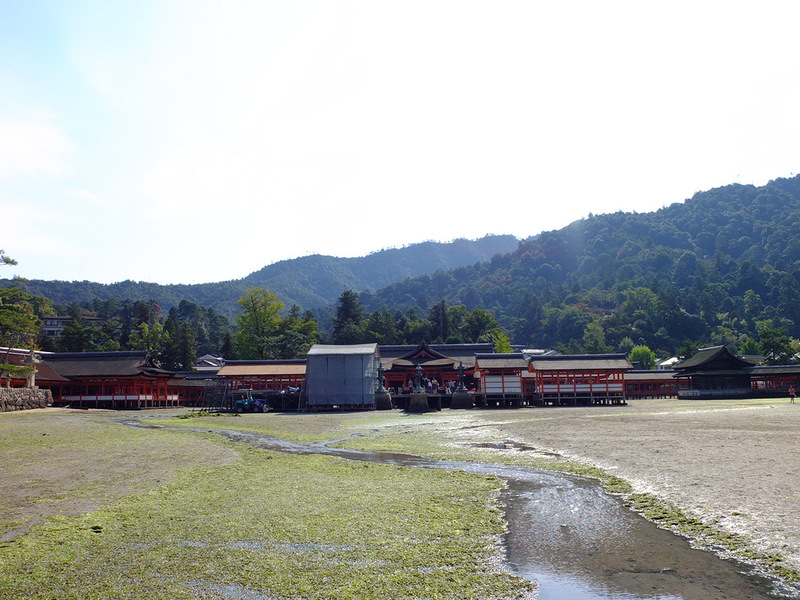 I also do not think many tours go to Tsuwano. Haven’t quite decided what to do next time. 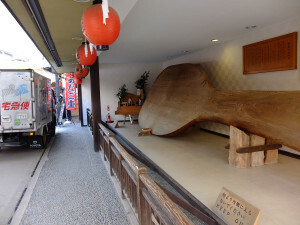 I really need to hit Kansai for a Kyoani anime pilgrimage binge, not sure how I could do if I had to bring my parents though, and I really would like to take them to some nice onsens before too long. 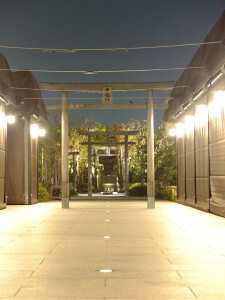 Maybe I could hit Kansai a few days early, finish what I want to do then join up with them for the onsens. Last day. Our flight leaves at 12:30 so we only needed to be at the airport by 10:30. Works out nicely for a 10am checkout and leaves about 2 hours to wander around in the early morning. After breakfast we head to the Ohori Park about 5 metro stops out from Hakata station, 2 stops out from Tenjin, costs 260Y each way. The park was once part of the Fukuoka castle complex whose ruins neighbours the park. 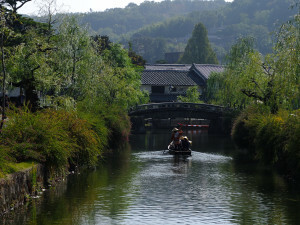 A large pond separated in two halves by a chain of small island and bridges in the middle, it was a nice urban retreat. We saw many joggers, people walking their dogs and even some fishing by the waterside. Along the paths on the northern side was a small waterway or brook, if it can be called that being entirely man-made, whose purpose remained unclear. The crystal cool water was not very deep but quite rapid, with small fishes swimming furiously against the current. We walked in an anti-clockwise direction, crossing over the islands down the middle then back up the southeastern side. There was a Starbucks on the by the paths on the eastern shore with a great view of the water. 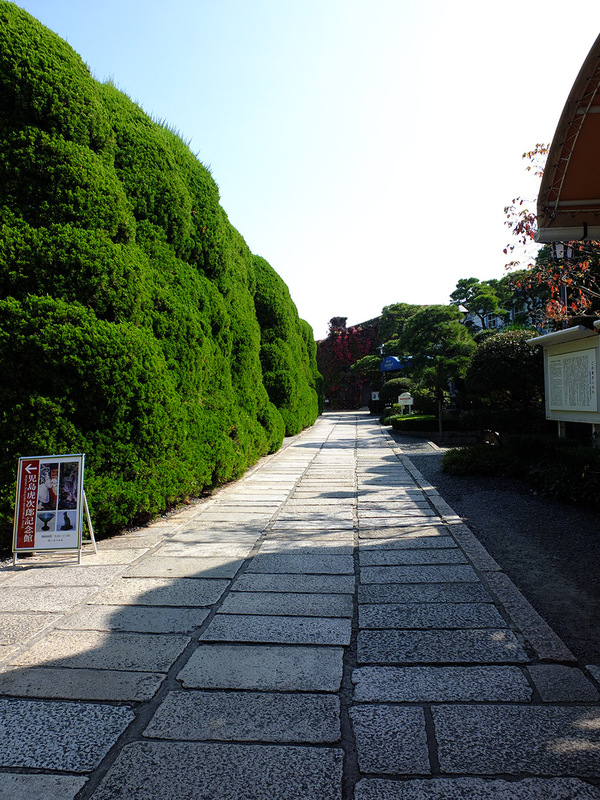 Also adjoining the park was the art museum, a shrine and a Japanese garden. 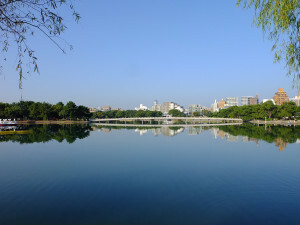 For what was a pond in the middle of the city it was surprisingly large and took us much longer than expected. 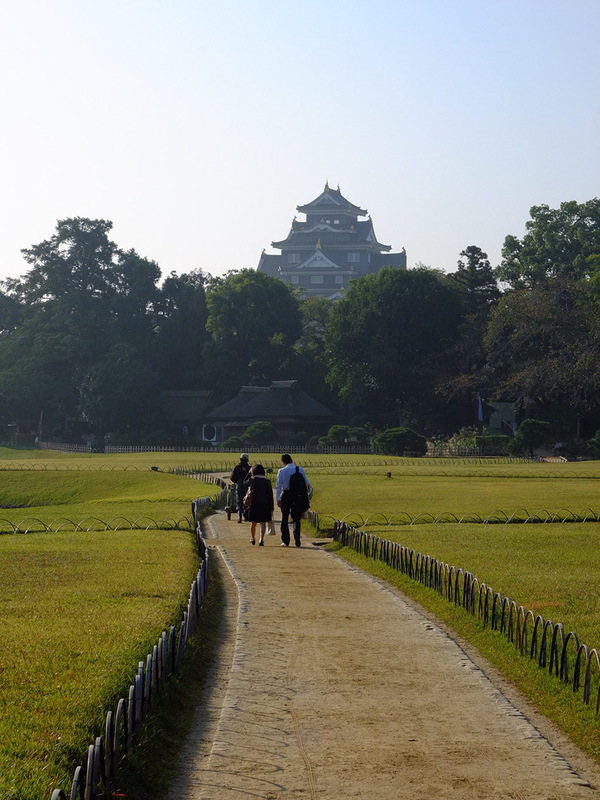 Had to cut plans to walk over to the castle ruins short and get back to the hotel with barely enough time to pack. After check out we took a taxi from outside the station and got to the airport just ahead of almost everybody else. 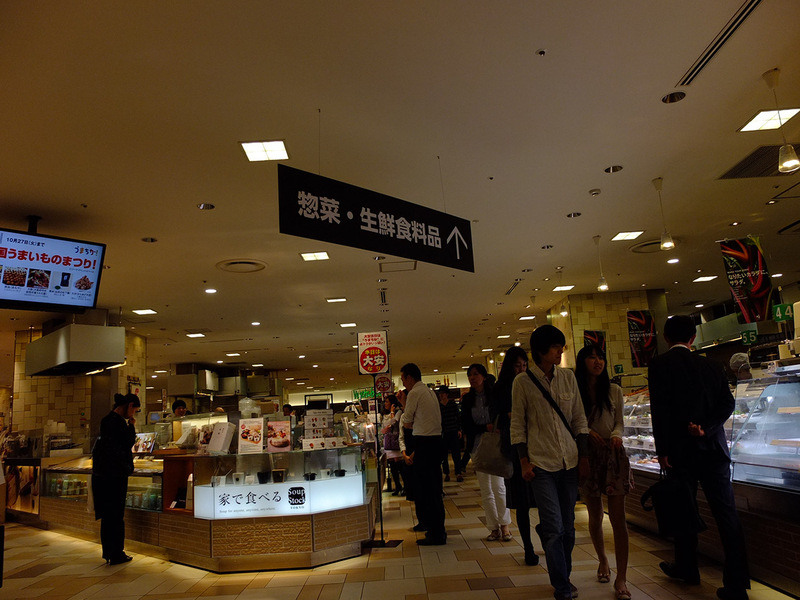 Within minutes of us lining up at the counter long lines had formed up behind. 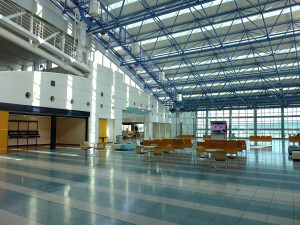 As an airport with few International presence the terminal did not have much shops. On land side there was a gift shop selling the goods you would expect from Kyushu. Nagasaki cake, Hakata little bird cake, things like that. 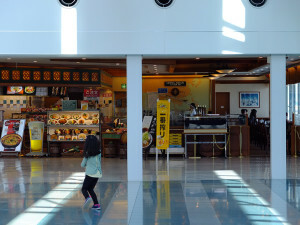 There were only 3 restaurants, a noodle place, a western food pasta place and Japanese meal set place, all looking fairly lonely in the huge and empty level 2 of the concourse. Things weren’t better airside. 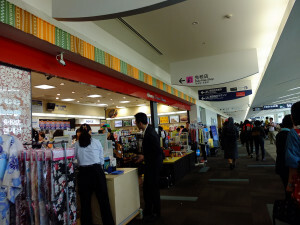 Outside the usual duty free goods, there were just three gift shops and two not really cafe but sells some coffee shops. Didn’t stop all the chinese tourists buying everything on the shelves of course, unruly as they were their spending power was unmatched, buying as though they were buying for every friends they knew back in China. Dozen boxes of candies and cakes at a time, without a care for how much they cost or really what they were, simply “Oh I heard they’re special from place X, must buy them”. 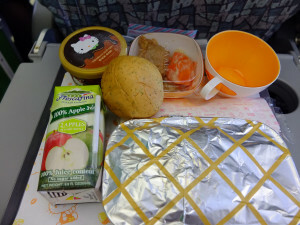 The flight back was once again on a kitty jet, only better as the meal this time included ice cream. Not much to be said about the routine, breakfast at 6:30 with the menu still by large unchanged. The hotel was situated right next to the Kouragoen and Okayama castle, one of the reason I chose it as well. There should be enough time to take a walk around the garden and get back in time to check out, and a quick break too if we had time. 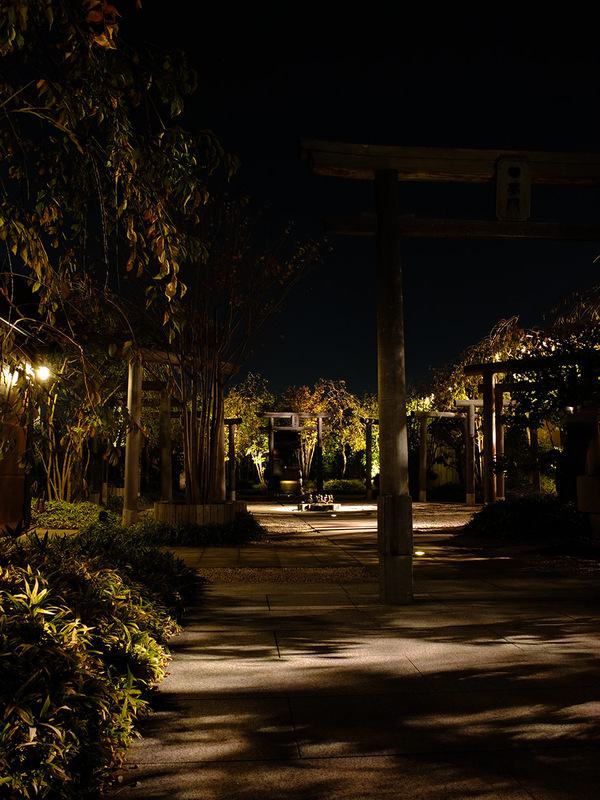 I didn’t have a very good impression of Koragoen the last time I was here but it was still worth visiting for my parents since they have never visited a large Japanese garden before. 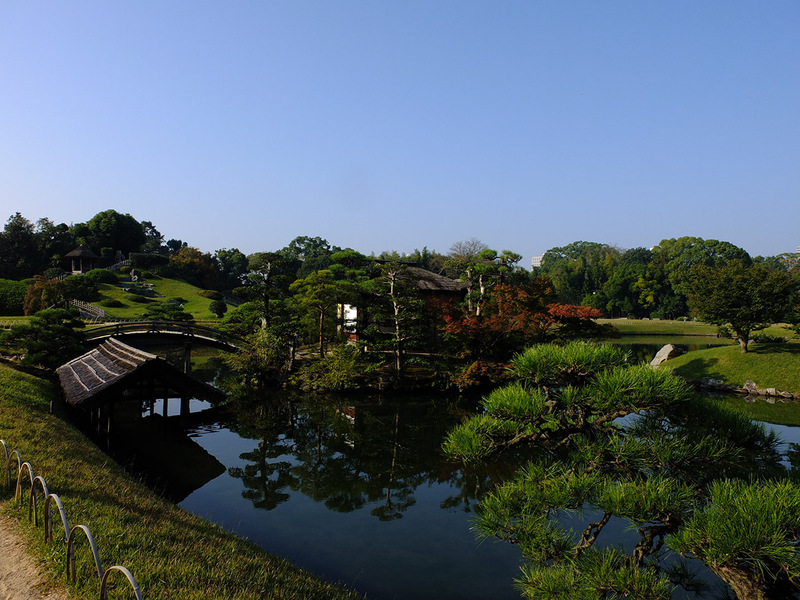 Like many such gardens, Kouragoen once was the local daimyo’s personal recreation space, following the same principle of pond, islands, streams and mountains. A miniature cosmo in the backyard to enjoy and reflect upon. 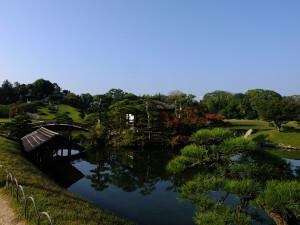 These days it is known as one of the three great gardens of Japan. I do not have many points of comparisons to say whether that reputation is deserved, perhaps some day I will visit the other two great gardens and find out. The garden did felt that more care had been given to it than before. It’s possible that since I arrived here in the off-peak season last time, they bad neglected in keeping everything up and running, or were intentionally leaving things unkept for maintenance reasons. We did a circle about the garden and existed the side door up to the castle courtyard. Didn’t enter the castle as my parents wasn’t really into those things. Plus we should head back to the hotel soon. After check out we store our luggages in a locker at the station. One of those big lockers was enough to store all 3 bags. 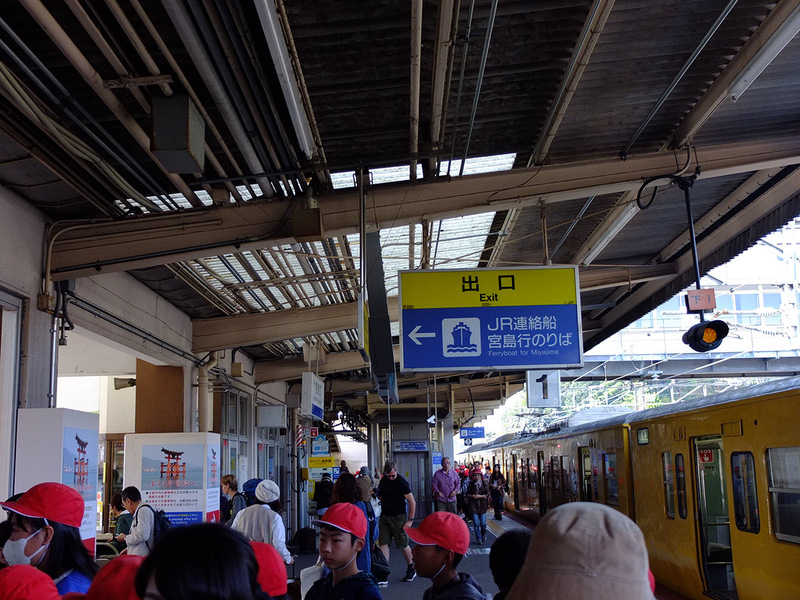 Then headed to Kurashiki. 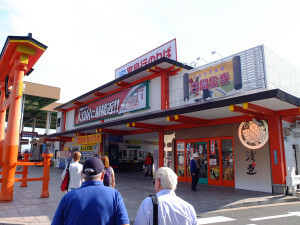 One of the main reasons for allocating a day in Okayama area was partly because mom wanted to check out an outlet. She didn’t really know what she wanted from it but since she heard everyone talking about shopping at these outlets for bargains she wanted to check them out. Honestly no one in my family knew how to shop but ah well, at least she’d know what outlets were like I suppose. 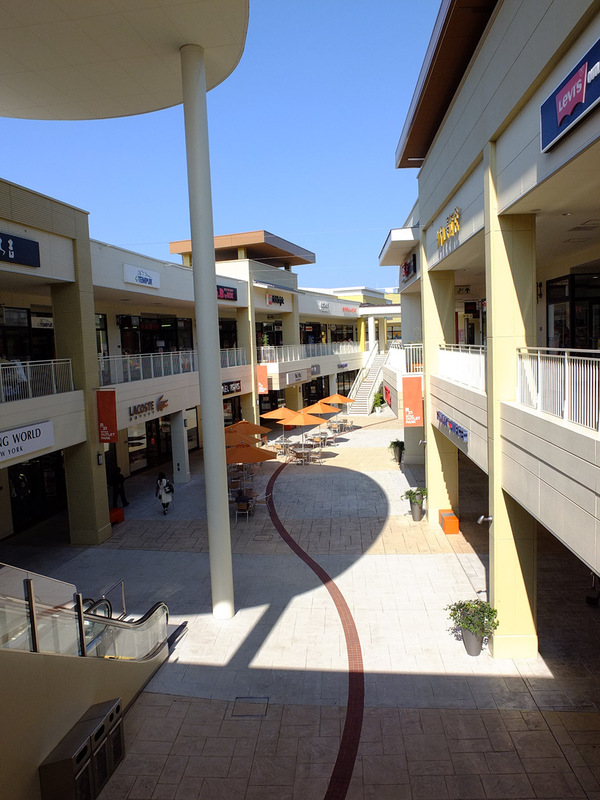 Outlets tended to be some way from the city due to the space and cost required, so generally one had to plan for going to an outlet explicitly. 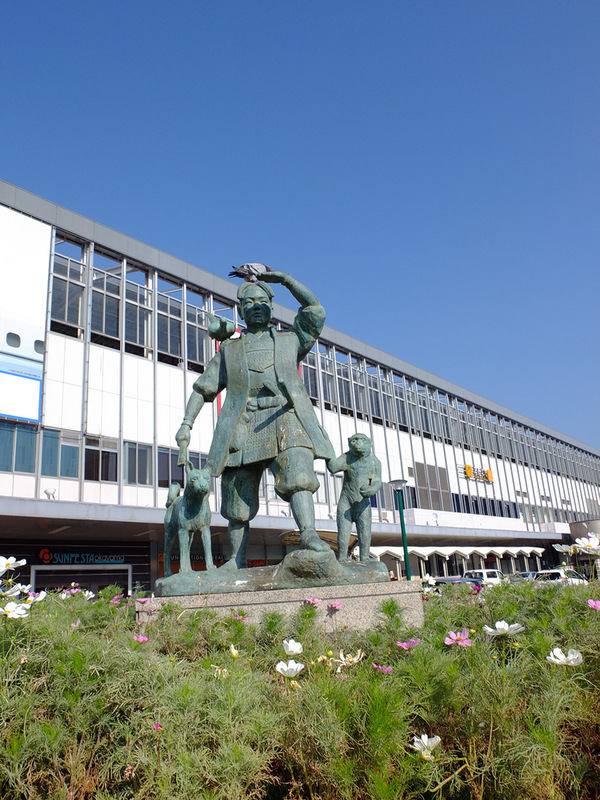 However Kurashiki was one of the odd case where the outlet was directly accessible from the main railway line station, just north of Kurashiki station through the adjoining Ario mall. 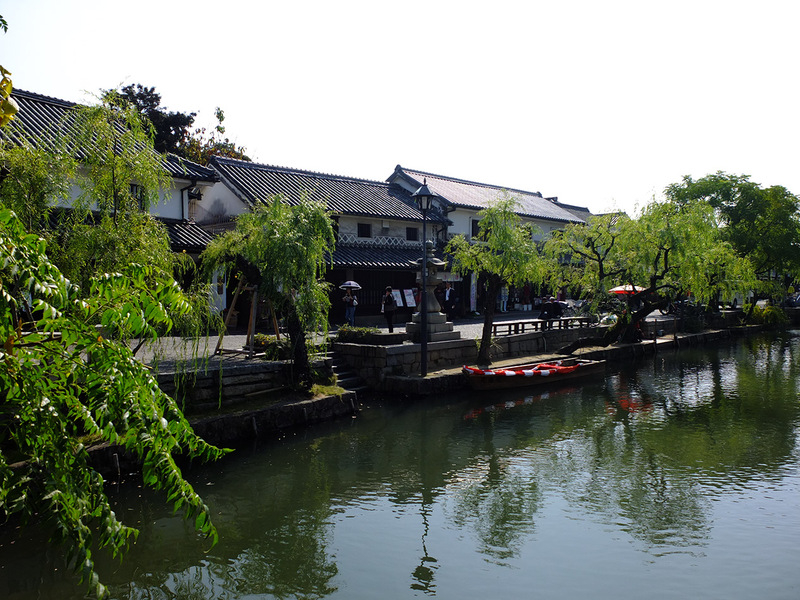 This made Kurashiki the easiest and most accessible outlet choice, and if we were going to visit the outlet then you might as well hit the historic area, and if you’re spending all that time in Kurashiki then you might then as well toss the Okayama castle and Kouragoen into them. 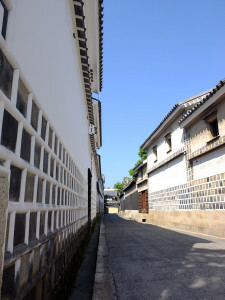 The day could have been allocated to Onomichi or Hiroshima CBD or even just more time in Sanin, the outlet contributed heavily to the way the schedule was. October must be one of those times to be out travelling as Kurashiki historic area was packed full, not quite like Miyajima, but still feeling like there were people everywhere. Since I had been here before and this was mostly for my parents, I more or less just wandered about on my own at my own pace, not worried about where I was going. 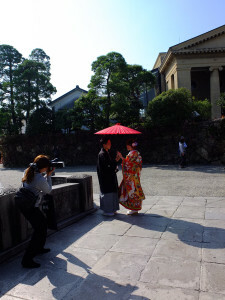 There were at least two pair of couples taking wedding photos in the area, dressed up in traditional outfit and posing for photos at various iconic spots. After that I noticed a workshop specializing in wedding photos which I must had missed last time. 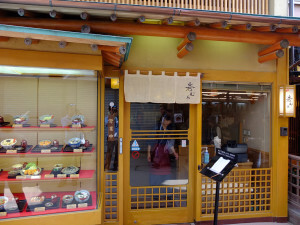 It made sense, I’m surprised I didn’t think of it before, the area was perfect for such purpose and I would wager if I looked more closely again I would find a few in Takayama’s historic area too (though maybe people won’t want to travel that far out for photos). 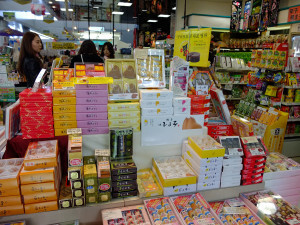 There was this musix box place in the Ivy Square area that had some neat trinkets and even music box toys. Mom considered buying one for my nephews but I voted against it, the boys would toss and wreck them within hours. About lunch time we head back to the station. 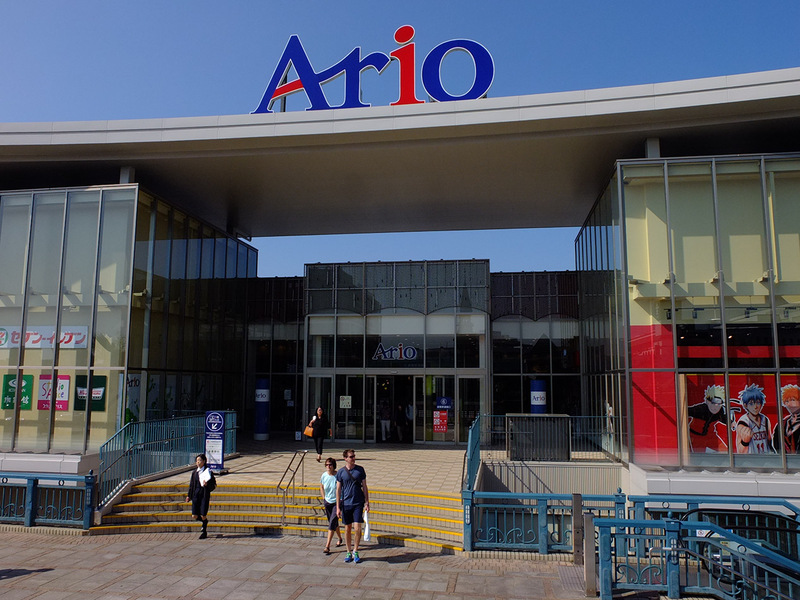 The original plan was to try out the sushi train place in the Ario mall, however my parents did not seemed that keen on the idea. I think it might be the hot weather which was tiring everyone. 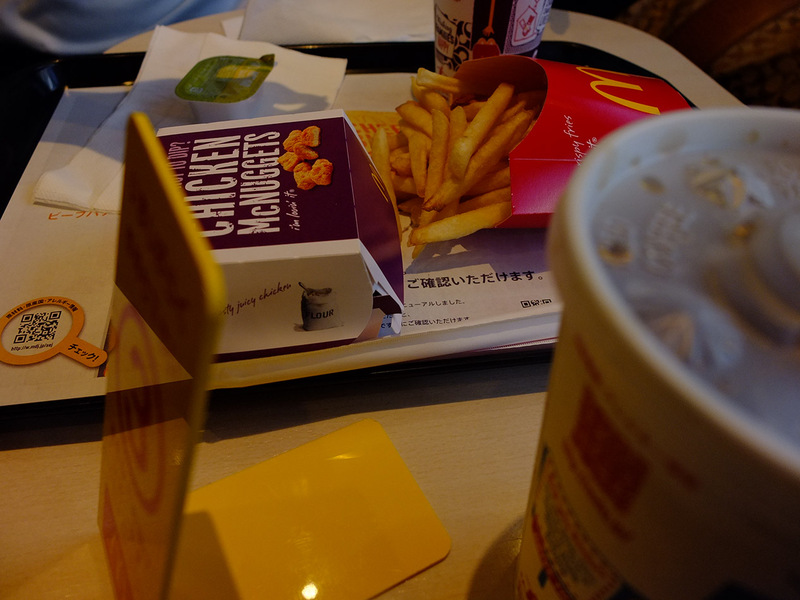 We ended up eating at the McDonalds at the station for convenience. I chose the teriyaki burger, a permanent item on their menu I believe, think I had the same last year. 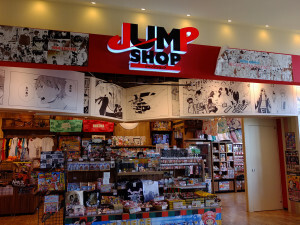 I showed my parents to the outlet and a baby specialty shop in the Ario mall. Originally my brother wanted me to get him something there for my nephews but found it elsewhere. Mom thought she would check it out anyway. I left them to the shopping and turned back to the station. 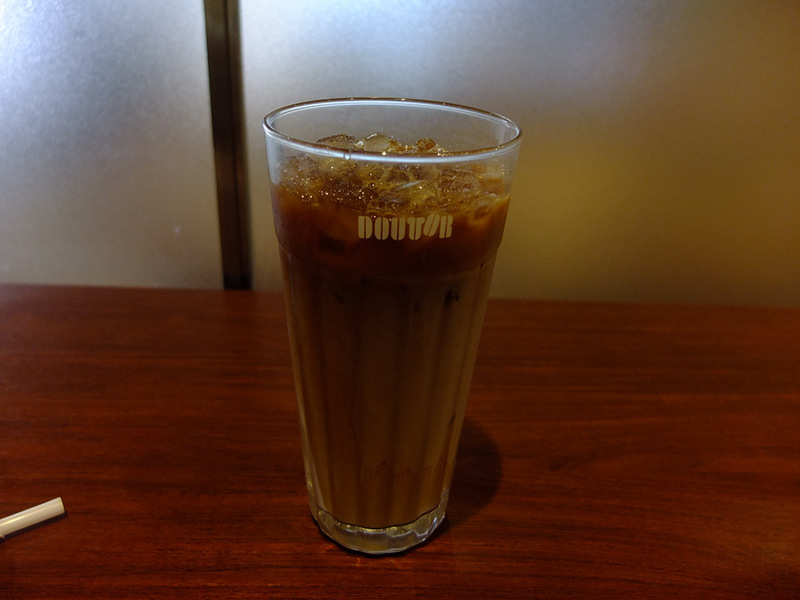 The plan was to take a break at the Doutor and let the sun cool off abit. 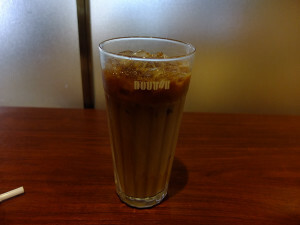 Really do love Doutor, and they can be trusted to be everywhere I go. 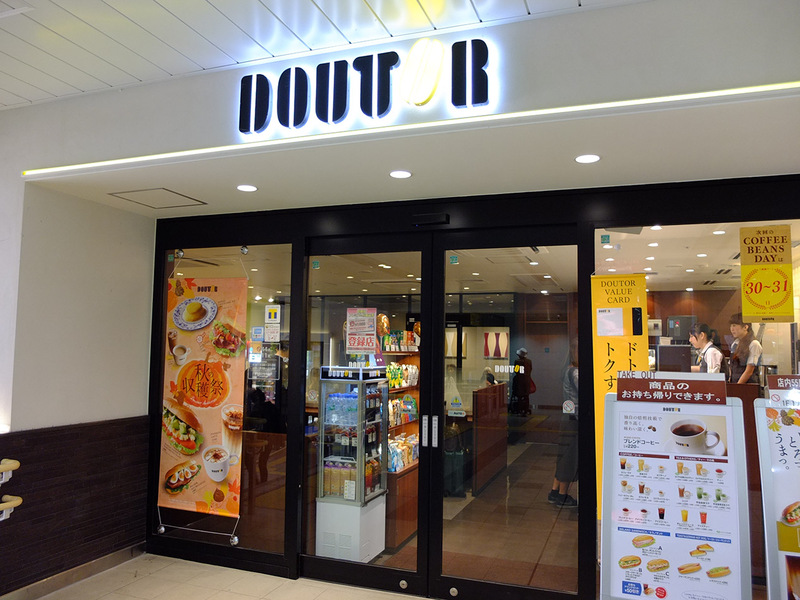 I think I have visited a Doutor at least once on every trip. Whether for breakfast or just a coffee break. After some rest I headed back toward the historic area, taking a detour down a backstreet. 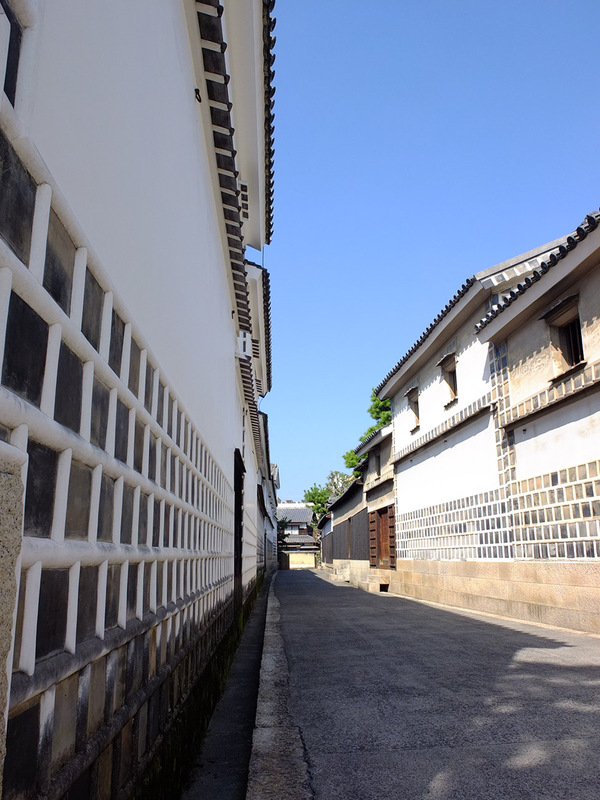 Kurashiki’s streets felt narrower, older and generally gave the impression of not being as well off as Okayama. I took some more pictures but eventually the heat got the better of me. Feeling abit exhausted I went back to the station to check out the department stores instead, not too much to them, some interesting stationaries. While breaking at a 7-11 I noticed that all the staff coming out of the staff only door at the mall would bow before continuing to their post, even if there were no visitors nearby. On one hand I have to admire them for how much respect and seriousness they treat their job with, even if maybe deep down they don’t really believe and it’s only for appearance. On the other hand maybe bowing before returning to duty is taking things a little far. I meet up with my parents after 3pm. Not too surprised, they were already done with the outlets. Dad bought a pair of shoes but that was it. Since they finished early I had to then make a choice. 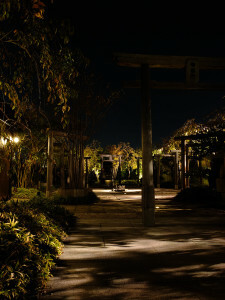 The original plan was that we would stay till dinner then visit the historic area at night when the area is lit up. But that would require waiting around for another 2 hours. 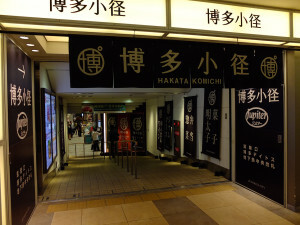 We would also be getting to Hakata around 9 pm at the earliest. Weighing that up, I decided to leave then and forgo the light up. The historic area is not that big and at best I considered it would just be about 15 minutes to take all the photos, hardly worth waiting over 2 hours for. We returned to Okayama and mom wanted to get bento boxes from the tonkatsu place we had the night before. We could have eaten there, but maybe mom was getting abit too tired and just wanted to get to the hotel to rest? 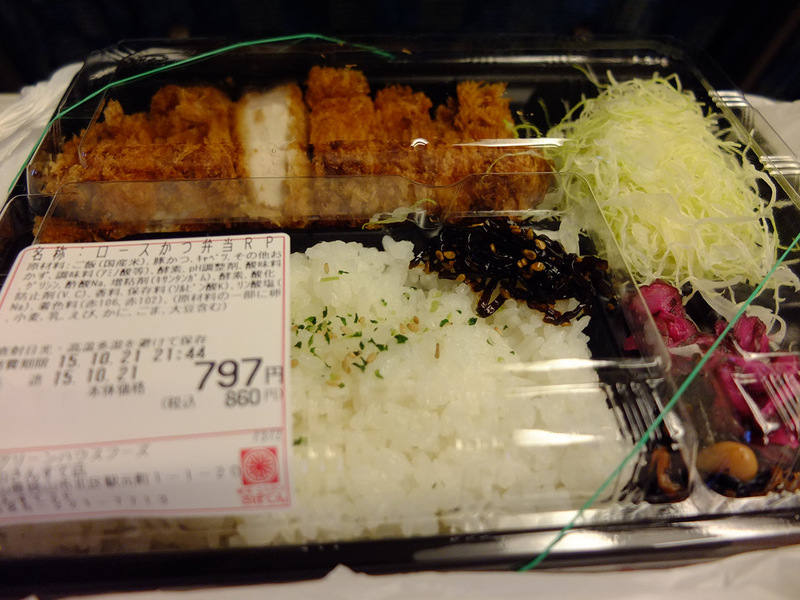 Either way we bought some bentos to take with us onto the shinkansen. 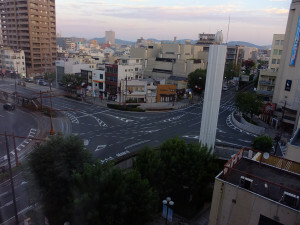 It’s a bit over 2 hours from Okayama to Hakata, making it about 7pm when we checked in the hotel. 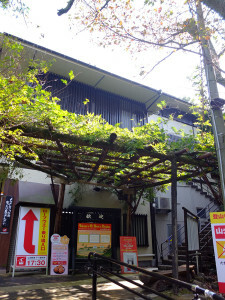 The prime location of Comfort Hotel was much appreciated, knowing a room and hot shower was waiting right outside the station. 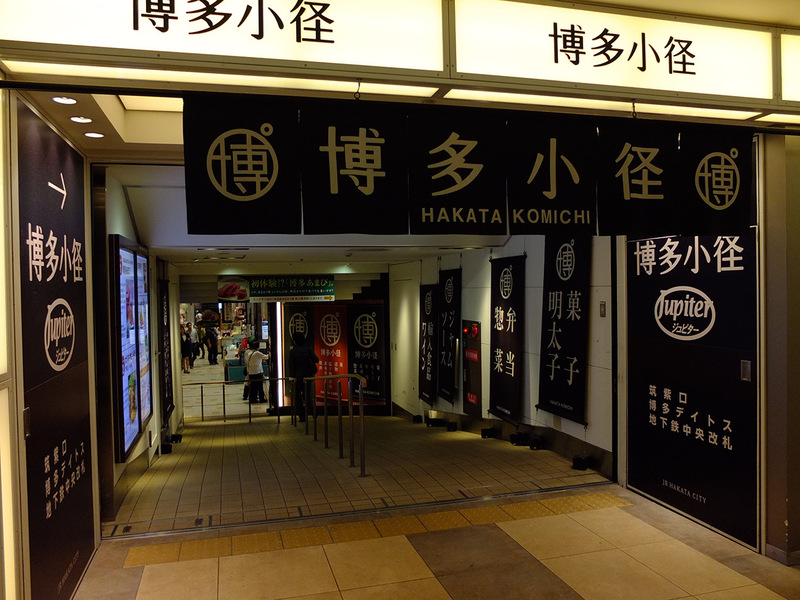 Since we returned early Hakata station was very much still alive. After a quick shower I went back out to explore the station fully. 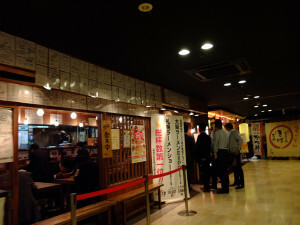 It is a bigger maze than I initially realized, consisting of several other sections including a ramen street (which I already knew about), another dining street where there’s a queue outside a teppanyaki place. 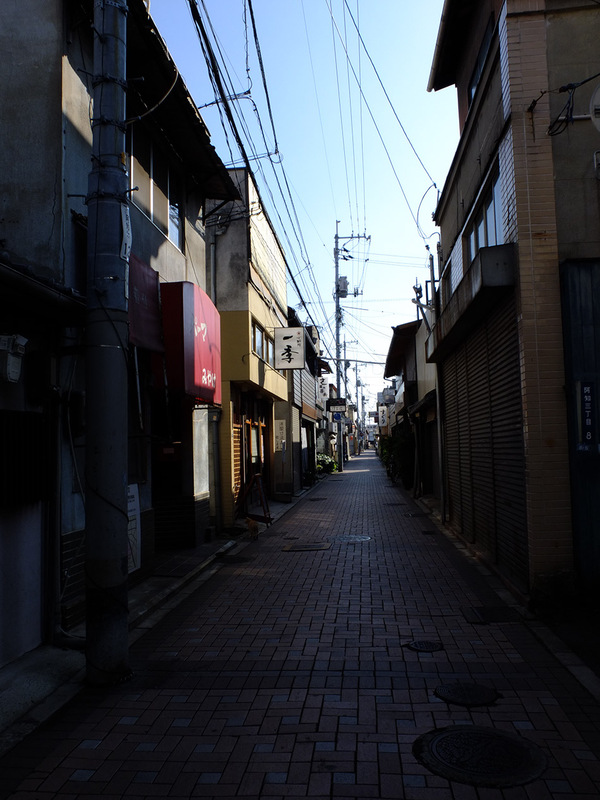 A Kyushu specialties street, an omiyage gift street, and a backstreet which was half under renovation with some utility and goods stores. 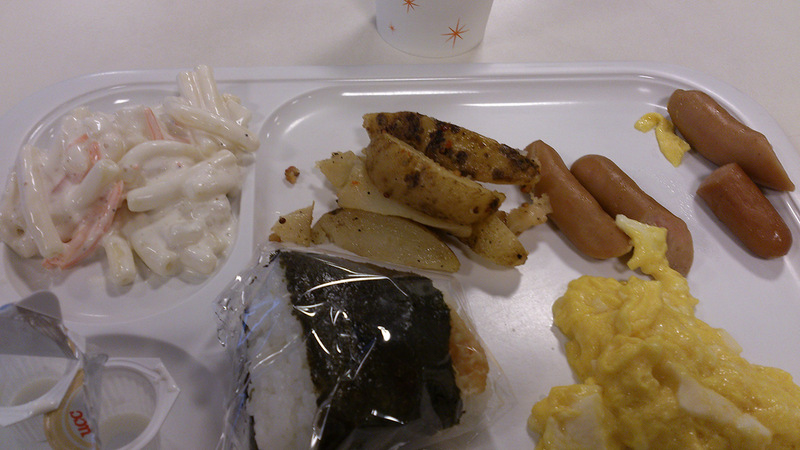 Breakfast was the same as the Comfort Hotel in Hakata. I had hoped each would change things up a bit like Super Hotel but evidently not. I made a note to myself to avoid booking the same chain hotel for multiple days on future trips. Being in Okayama was a bit like being back to civilization. There road was filled with cars, buses and trams. The main street was lined with office buildings and the station area had several department stores. While I’ve always had a thing for rural Japan, being back in a city didn’t feel too bad either, with all its conveniences. 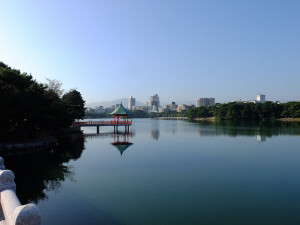 I had contemplated whether to go to Hiroshima today or tomorrow. 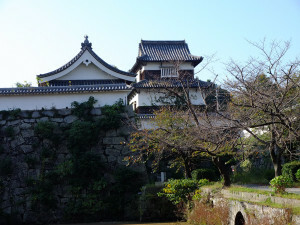 The plan was one day in Hiroshima, and one day in Okayama/Kurashiki. While it would be more straightforward to do Okayama/Kurashiki today then go to Hiroshima tomorrow and onward back to Hakata, I am reluctant about such a plan as it required that we drag our luggages with us and I have heard that it was not easy to find a locker in Hiroshima, being both a popular tourist destination and a lack of lockers compared to other stations of its size. Especially since my parents had one of those larger suitcases which required an L size locker. 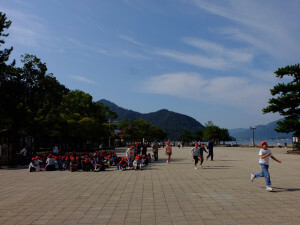 If we failed to find a locker initially we would be forced to circle around the station until we could find one as there was absolutely no way we could drag it with us to Miyajima. Alternatively, if we did Hiroshima as a day trip from Okayama then there was no problem with the luggage. 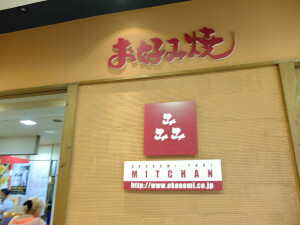 Finding a locker in Okayama was easy and worst come to it there is a luggage keeping service station. We would waste an hour an half travelling to and back from Hiroshima, but I would be able to sleep easy regarding how to deal with luggages. Only with a rail pass was I able to contemplate such changes to the plans. In the end I decided on doing Hiroshima first. Even if we could find a locker in Hiroshima my estimate was that we would lose 30-40 minutes doing so, so it was not as big of a lost in time doing a day trip. Shinkansen to Hiroshima, then 20 minutes local train to Miyajima, followed finally by the ferry. Along the way we saw more westerners than I had seen in all my trips together. Miyajima truly was one of Japan’s most iconic tourist locations. Upon getting off the ferry, the first thing one notices was how many tourists there were. 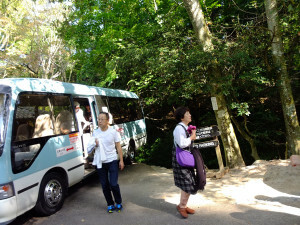 Foreigners, Japanese, tour groups. Especially the tour groups, it was an endless train of student groups, not sure if this was the time of year or it’s always like this at Miyajima. 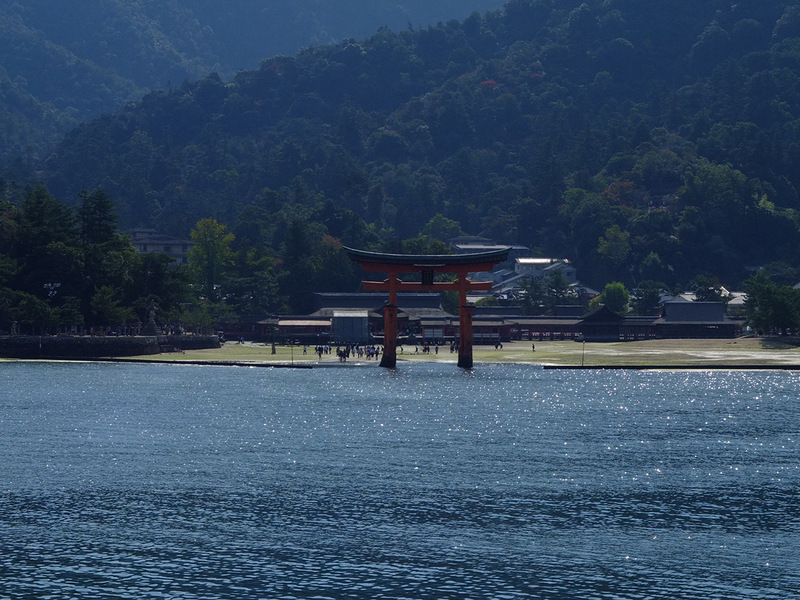 The plan was to walk along the shore to the Itsukushima shrine, get as close as possible to the big torii since it was low tide, but not enter the shrine yet. 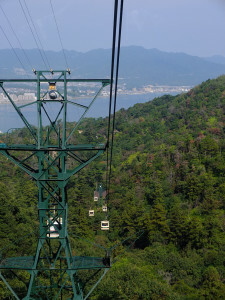 Head up and take the ropeway up to Misen mountain, spend maybe an hour and half up there then head back down for lunch. Randomly we ran into the ropeway shuttle bus stop just north of the shrine. The ropeway station didn’t seemed too far to walk, people said maybe 5-10 minutes, but if there’s a shuttle then might as well take it. 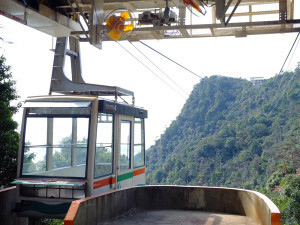 The ropeway up Misen mountain had two sections. First section was a standard 4 seater gondola up to one peak, then a two way 30 person gondola that ran every 30 minutes across the valley to another peak (more often if the gondolas were already full at either end). The second gondola had only 4 seats, the rest had to stand. Fortunately we arrived ahead of the crowd and were able to get seats. 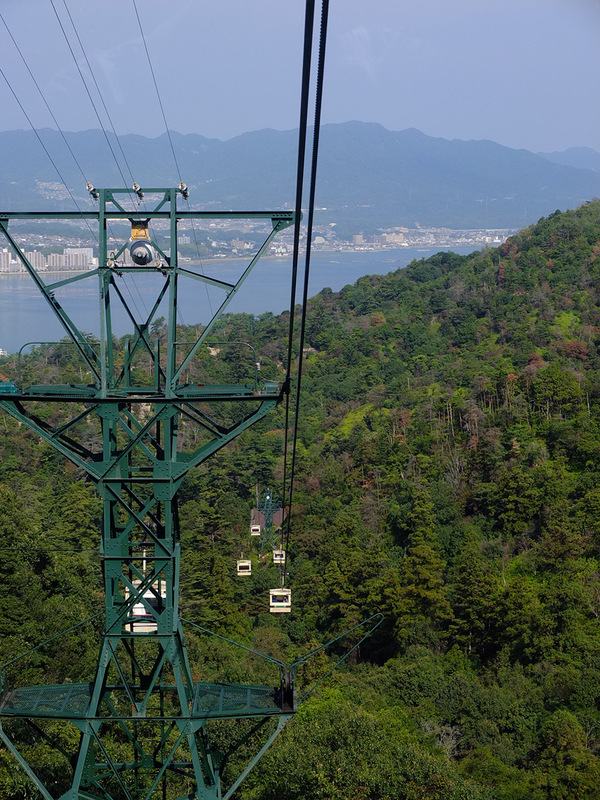 The ropeway had a good view of the Seto inland sea and the woods of Miyajima. From the top ropeway station it was another 20 minutes walk to the Reikadou temple at the main intersections of the mountain trails. There were trails that lead back down which takes about an hour if one had one. Another trail leads to the top of Mt Misen, about another 15 minutes steep ascent. 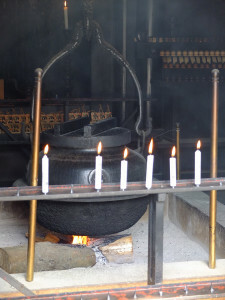 Reikadou temple held a sacred flame that’s said to have been kept burning since the 8th century, along the trails were various small shrines and stone stacked pergodas, an indication of the sacredness of the mountain. 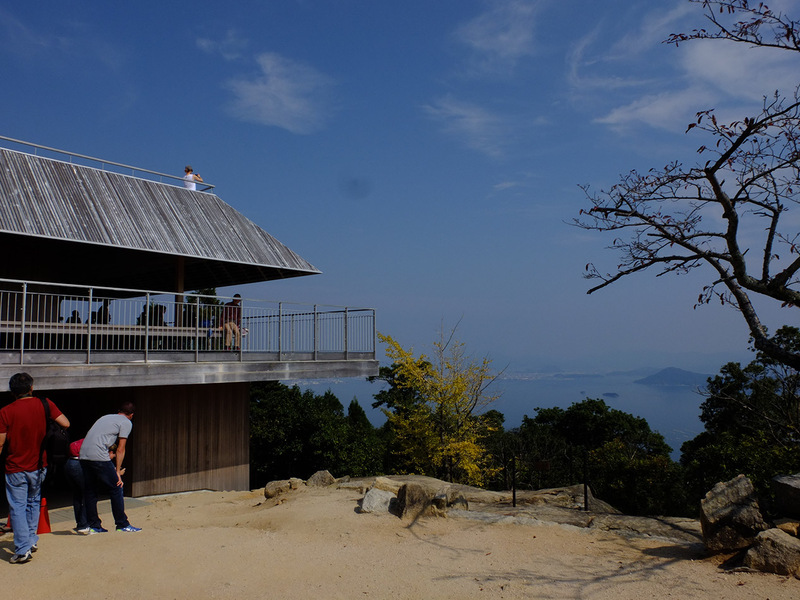 At the peak was a viewing platform that offered a 360 view of the island and Hiroshima in the north and Shikoku in the south. 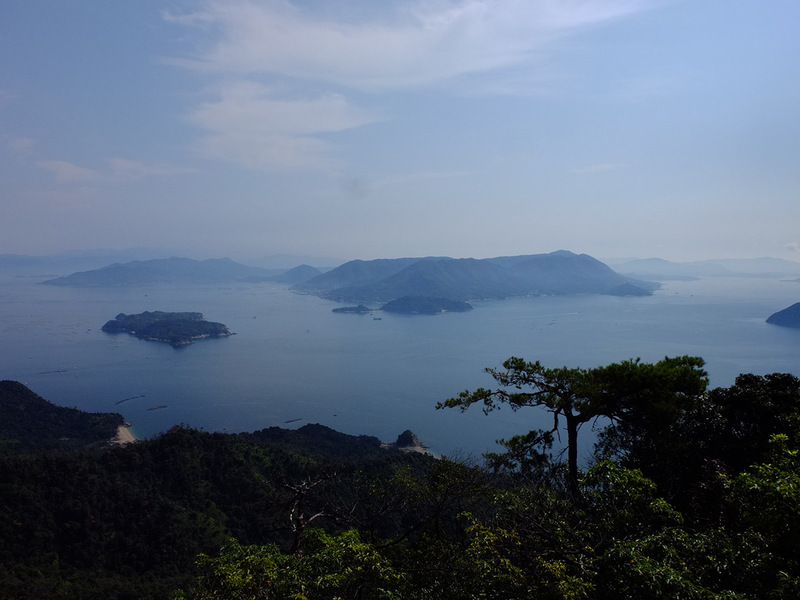 I welcomed the cool breeze after exhausting climb. I had to use an even faster pace than usual as time was limited. My parents had turned back at the Reikadou temple already. It was hard to say whether Mt Misen was worth the time and cost of visiting. 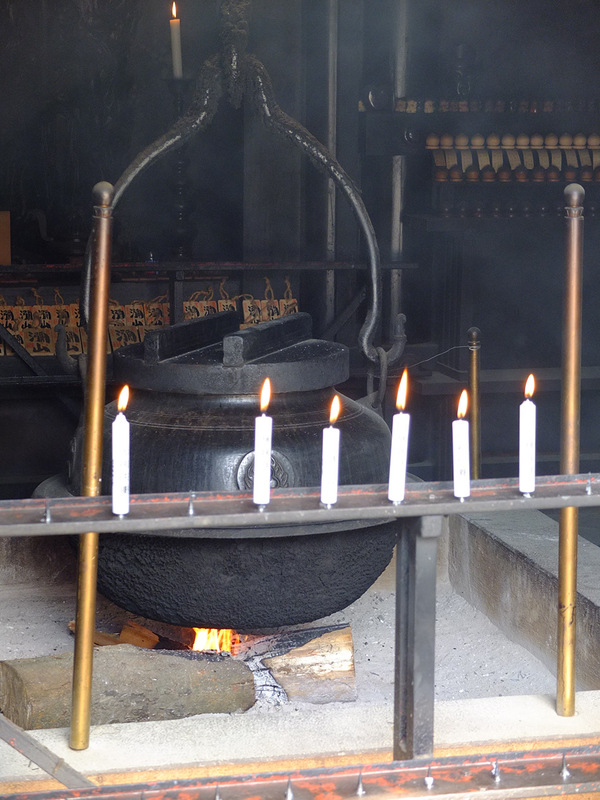 The view was good and there were plenty of spots of religious significance, where monks meditated and worshipped. I do feel a little bit of disappointment, as if it didn’t quite live up to its renown. During our descent the gondolas in the opposite direction were mostly packed, the tour groups had arrived on the island in force. A good thing we were already on our way down. When we got to the bottom of the ropeway we learned that the shuttle bus had gone to lunch, which explained all the people walking up the paths. And for a moment we were wondering why they didn’t take the shuttle. 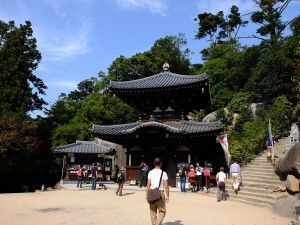 The walk from the ropeway station to the shrine area turned out to be not very far at all, maybe 8 minutes downhills. It would have taken longer had we had to walk uphill. It took a little wandering to find the restaurant I was looking for. From the map it looked like it was in one of the backstreets but turned out it was in the main pilgrim path shopping street. Called the Iwa Mura, it was an eatery that had good ratings for both oysters and anago, famous dishes of Miyajima. The oysters were quite big but compared to Taiwanese style of cooking they had more of that seafood smell. Parents didn’t like it as much, I felt they were alright. The anago was basically unagi yaki lite but the meat not as refined and less flavoury. It was now about 2pm, when the tide was at its highest. We squeezed in between the endless columns of students, slowly following the floating corridors while avoiding being swept away by them. The temple’s walkways made several right angle turns above the lapping waves, connecting several halls and buildings, standing above yet not quite floating as the brochures claimed. Up close, the shrine did not looked as crimson as the photos one usually sees, though it might be because of the bright sun light. 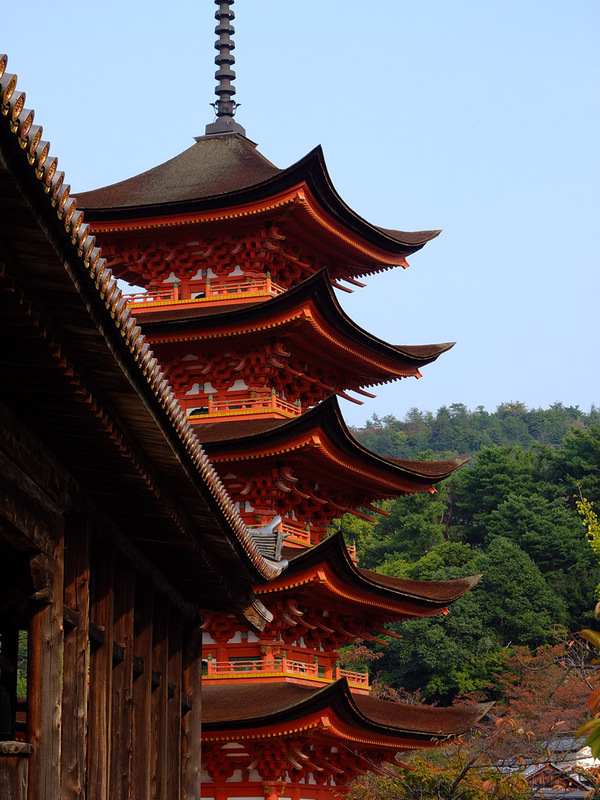 I have found that shrines and temples looked their best in the rain, perhaps on a rainy day the Itsukushima shrine would show more of its magic. Today, not so much. People also say that Miyajima felt completely different if one visited at night or early morning before the crowd shows up. 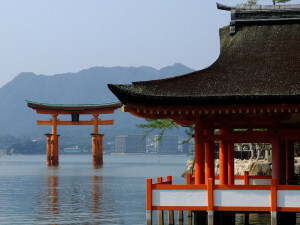 It would require staying in Miyajima or at the very least Hiroshima and alas, that was not an option. The day was unbearably hot. It was near the end of October yet it was like summer, a few minutes in the sun and my shirt was soaked through with sweat. We returned to main street and found a small cafe to escape the heat. The nice thing about Japan’s weather was that it had low humidity unlike Taiwan so as soon as you’re out of the sun it was relatively cool. While dad took a nap at the cafe, I did a circle around the main street, the back street and some of the other temples on the island. On display at one end of the main street was the largest rice spatula in the world. I still haven’t qute figured out the exact history of the spatula and Miyajima, it seemed every shop was selling some kind of spatula souvenirs in addition to the usual paper fans, crafts and other very Japanese like souvenirs aimed at westerners. The backstreet was a lot more interesting. Away from the tourists, there were the small grocery stores, fish stores and other businesses that served the island’s residents. I thought it was fantastic that these small business remained open up till now. There could not be that much businesses on the island, short of the elderly most residents I imagine would get their weekly shoppings from the mainland. I scout out a spot by the coast that looked to have a decent angle for the sunset. While waiting I saw the deers chase down several tourists for food, even snatching the tourist guide brochures out of their hands or bags. The deers of Miyajima were quite notorious for their daring and persistence, only surpassed in reputation by their cousins in Nara. 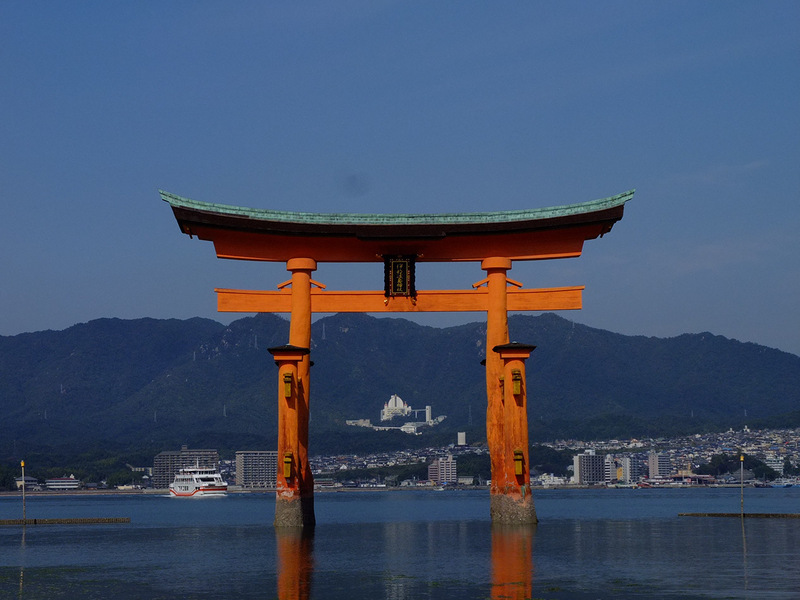 Unfortunately the sun’s angle was not quite right at this time of year, it was quite difficult to frame the sun and the giant torii together, and the mountains obscured its last leg above the horizon. 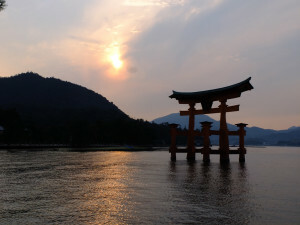 If it were in the summer I believe the sun would be much further to the right and one may even be able to frame the sun going down in between the torii. We headed for the ferry at around 5:20pm. Even now there were tour groups disembarking. It was about 6pm when we got back to Hiroshima station. For dinner I intended to have okonomiyaki, since we were in Hiroshima. 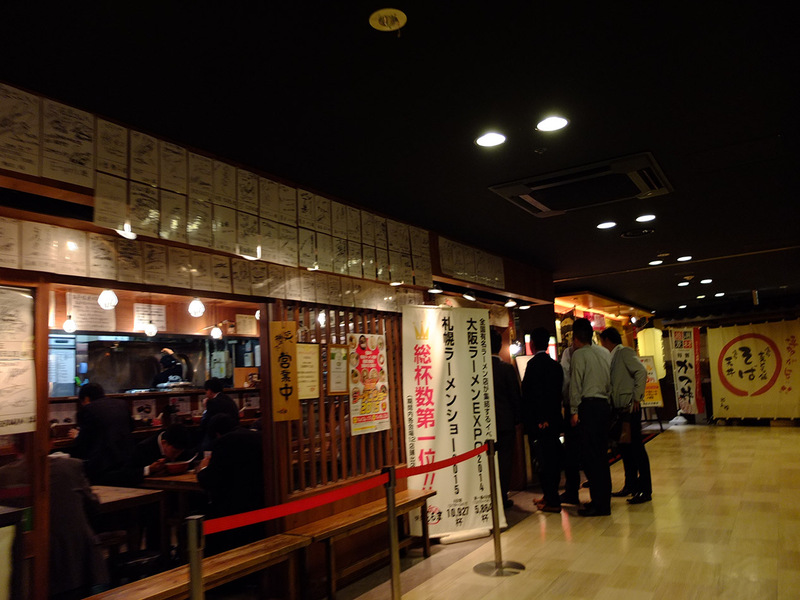 According to tabelog there was a highly rated okonomiyaki place just in the station on the shinkansen side. 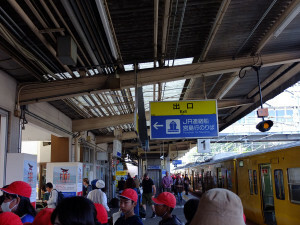 Despite being a larger and more important city than Okayama, Hiroshima station felt a little run down. The souvenir areas was poorly organized with random stalls filling the open space, and the restaurant areas not as well lit nor looked as modern as their Okayama counterpart. 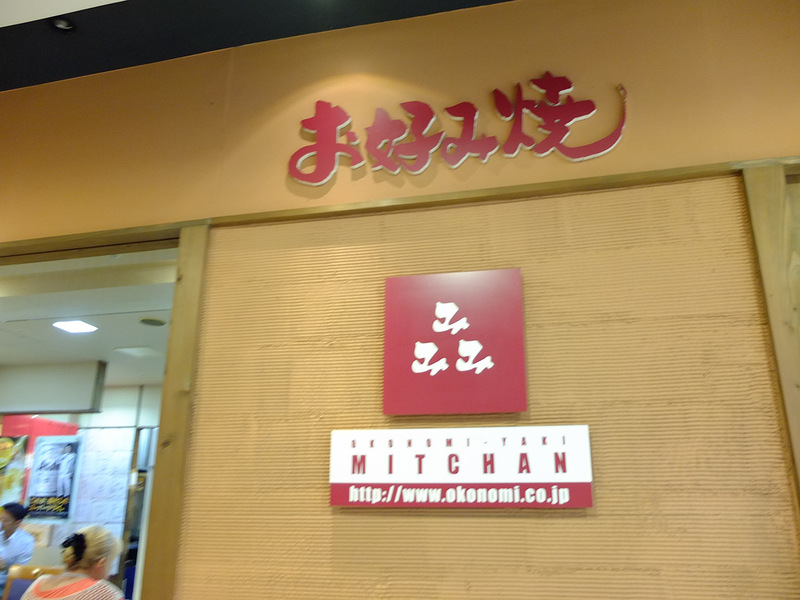 The place was called Mitchan Okonomiyaki. When arrived there were a queue of three people ahead of us and was seated within a few minutes. We had gotten there right before the queue began to form in earnest, not long after we sat down there were a line of over ten people waiting outside. 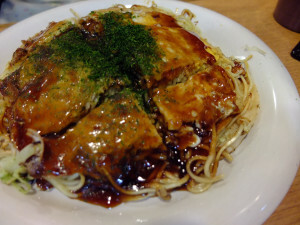 Hiroshima style okonomiya had a thin crepe with soba or udon on top mixed with choice of shrimp or other meats, the whole thing was then covered by egg and pan fried. 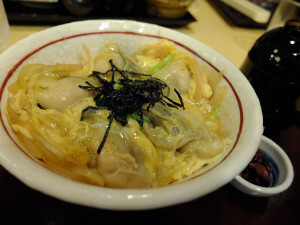 I could not say I liked it too much, it was very savoury and creamy which wore off the tastebuds quickly. 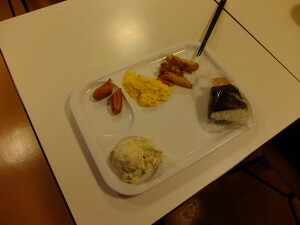 It continues to bewilder me that Japanese cuisine have this polar extremes of very light almost no flavouring in order to accentuate the natural flavour of the ingredients, to drowning everything in soysauce, salt, cream or sugar. 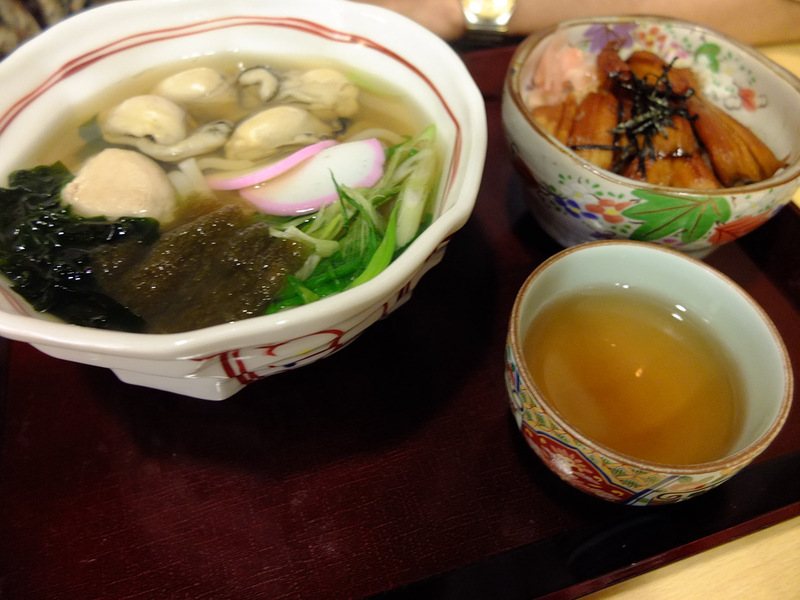 This is best symbolized by udon and ramen I think, two of the most common foods yet opposites on the flavour spectrum. I think I might have touched on this before, why I sometimes prefer having McDonalds or other fast foods while in Japan despite other options available. At least I know what I am getting and I’m not going to be feeling sick or parch mouthed for the next hour which is vital when I am already not feeling 100%. 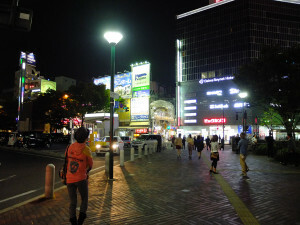 We got back to Okayama at about 730pm, allowing some time to further check out the areas around the station on my way back to the hotel.